Surprise. 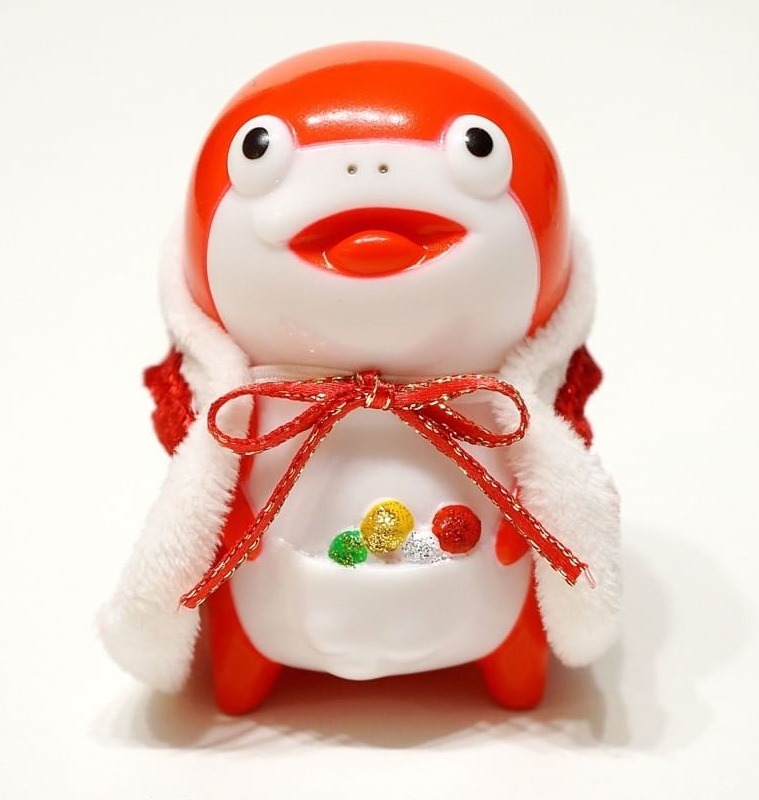 The folks behind the Coiss fish sofubi have released three of their joyful Christmas Coiss edition on eBay. It’s available for $70 (buy it now). Catsmas? Pobber will celebrate with their exclusive Candy Cane Cat edition of the BurgerCat sofubi from Nathan Hamill x Science Patrol. The festive edition features is a marbled red and white treat, stands 2.75” tall, and will be available on Tuesday (12.4) at 6 AM PST for $30 at the Pobber shop. Is your body ready? Retroband, purveyor of fine plastic gore, is about to launch his M.E.A.T.S. Flesh Series in grand fashion with a 3-pack Death Match featuring Tomb, Meats, and the new shambling Suffer. The Mini M.E.A.T.S. drop on Saturday (12.8) at 10 AM PST from the Retroband butcher shop. These will be ready to go come drop day and will ship out the next day. Think quick! 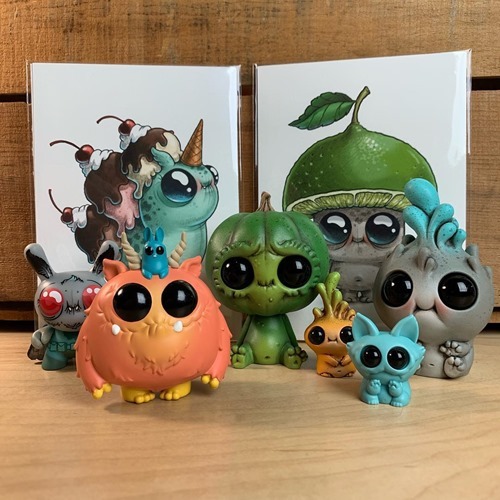 Amanda Louise Spayd and Chris Ryniak are closing out 2018 with a big drop on Bindlewood tonight (12.3) at 6 PM PST. Hand-painted, original resins? Yes. Print? absolutely. 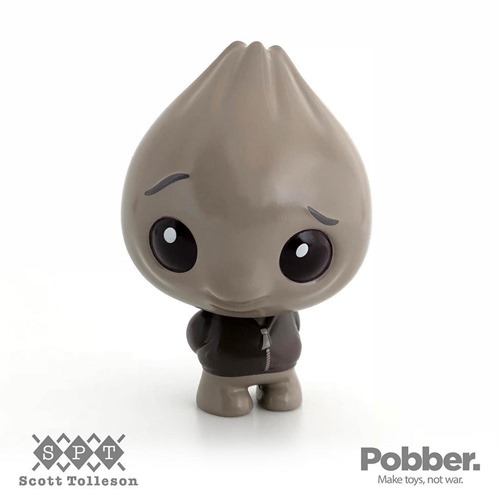 Thimblestump Hollow 2 singles including the DCon Canyon Colorway exclusive Woolworth and Fuzzhorn? Of course! 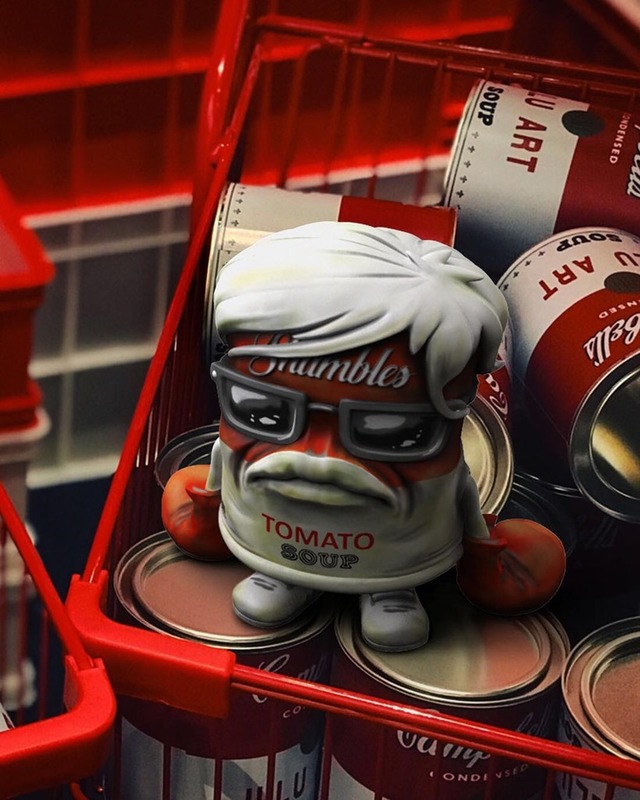 Kevin Nam has released a brand-new resin toy—Rocky— through his Pocket Plastic brand. While seemingly a departure from his popular Tumble Tops, Rocky’s design focus on rock-solid balance links the new figure to the artist’s prior toys. Rocky—a boxing gorilla—is in fact, a master of balance, equally adept at standing on each of four his limbs. 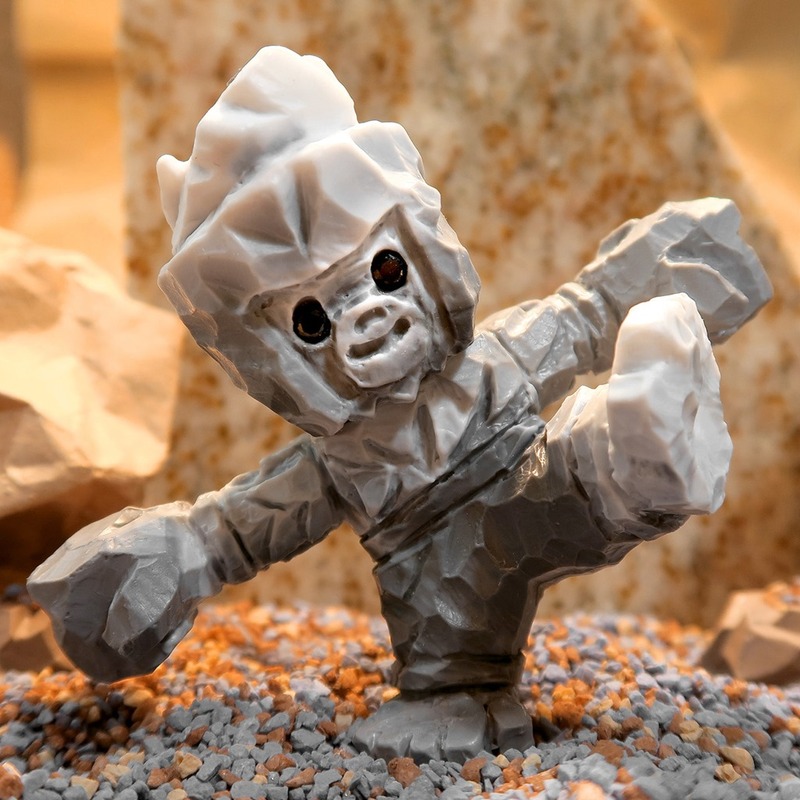 Cast in marbled resin, the 3” faceted fighter features real Cubic Zirconia gemstone eyes, fitting for a character born of rock. Limited to 40 pieces, the debut edition features 35 standard ‘stone’ figures as well as 5 vibrant Ruby chase pieces. Rocky is available now for $30 from Pocket Plastic. Hit the jump for a making-of video as well as a gallery of Rocky's balance-defying feats. 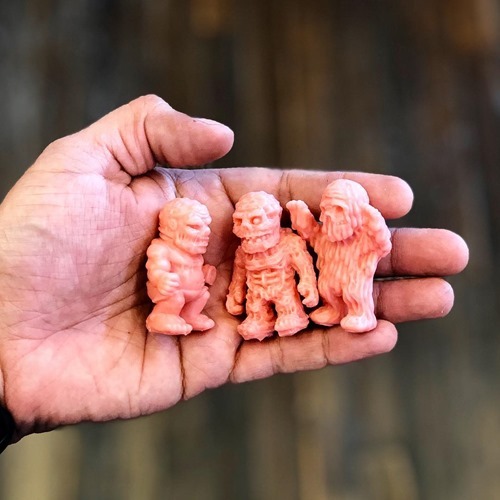 After three years of development, BlackBook Toy is now taking pre-orders for the Rocco 3 Devil Bear sofubi toy by Marc McKee. 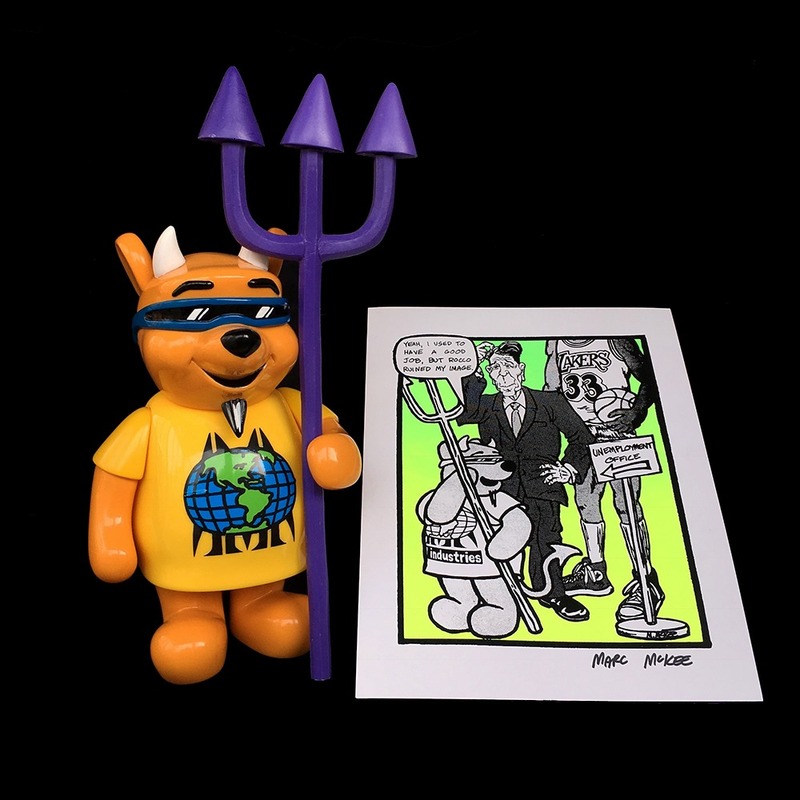 The toy is based on McKee’s design of Steve Rocco’s board for World Industries (1989) which was issued a cease and desist because of the Devil Bear’s resemblance to a certain honey-loving bear from Hundred Acre Wood. The Devil Bear figure stands 9.85” tall and includes a purple pitchfork which is individually cast in resin by the toy’s sculptor, Chop of Monster Farm. With some minor color and text differences, the figure matches the graphic on the underside of the board. The Rocco 3 Devil Bear is available now for ¥17820 (~$157) directly from BBT as special pre-order which includes a free screen print (8.5” x 11 ) of the graphic from the top, grip-tape side of the vintage skate deck. 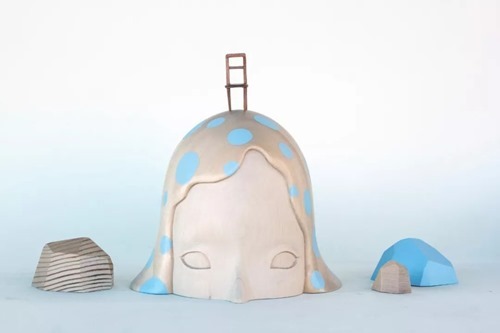 The figure + print are slated to ship in February of 2019. Talk about a crossover! RTJ Krang fuses together the hip hop style of Run the Jewels with the mass appeal of Nickelodeon’s classic Teenage Mutant Ninja Turtles. 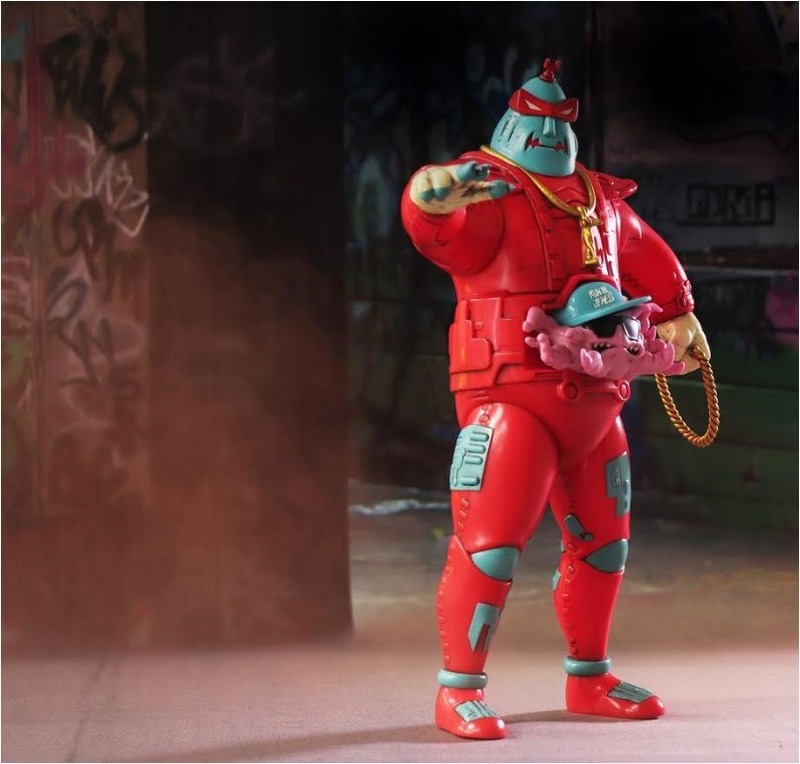 Designed by Trap Toys, known for their hip hop infused ‘bootleg’ action figures, and produced by Unbox Industries, the 12” figure features EL-P as the cerebral and conniving Krang and Killer Mike as the muscular and mobile Android Body. Flowing with NYC street style + bling , RTJ Krang offer a new take on the TMNT villain(s). Dropping in two editions colored to celebrate the rap duo’s first two albums—Krang LP1 in Black + Teal & Krang LP2 in Red + Teal—the figure features 8 points of articulation for plenty of playability. Limited to 350 pieces of each edition, RTJ Krang will be released this Saturday (12.8) at 7 am PST from the Unbox web shop for $125 each.